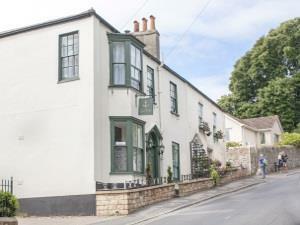 Lyme Townhouse01929 400252work Guest HouseLyme Townhouse is set in the heart of Lyme Regis, just off the main high street and a short walk away from the beaches and historic Cobb harbour. This Grade II listed building has been tastefully transformed into a stylish guesthouse, featuring 7 individually designed bedrooms with modern amenities. Nicknamed the Pearl of Dorset, the historic town of Lyme Regis lies on the South West Dorset border. World renowned for its literary links, fossil hunting, famous Cobb harbour and surrounded by spectacular Jurassic coastline and unspoilt countryside. Lyme Regis is a bustling seaside town, which plays host to festivals and events throughout the year. With beautiful beaches, scenic gardens, pasty shops and seafood stalls, Lyme regis is lovely place to enjoy a well-deserved break away. Lyme Townhouse is set in the heart of Lyme Regis, just off the main high street and a short walk away from the beaches and historic Cobb harbour. This Grade II listed building has been tastefully transformed into a stylish guesthouse, featuring 7 individually designed bedrooms with modern amenities. Nicknamed the Pearl of Dorset, the historic town of Lyme Regis lies on the South West Dorset border. Rates are inclusive of breakfast – continental and a choice of hot breakfast. Children welcome from age 7. From A352, take B3071 from Wool to West Lulworth. Gatton House stands on left of B3071 in village of West Lulworth.